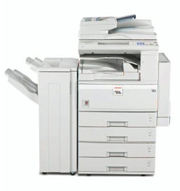 About Rentals: We provide a wide range of office equipment for rent. All of our office equipment are cleaned and tested before it leaves our facility. Advantages: All our rentals come with full service included, with regular visits from one of our technicians, at no additional charge. We won't wait until for you have a problem, before you see us, with our regular visits, we will be able to find potential trouble or answer any questions on how to better use your rentals. Conserves Capital - Low upfront expenditure and Low monthly payments free up working capital. Flexible Terms - A variety of terms are available, allowing payments to fit almost any budget. Tax Benefits - Payments may be tax deductible (please consult with your tax advisor). 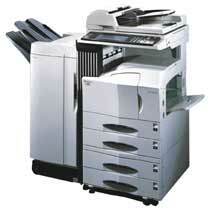 Avoid Technology Obsolescence - Not owning the equipment allows you to easily upgrade. 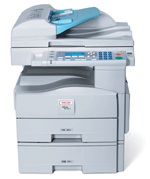 Fax speed: 33.6 Kbps - 3 seconds per page. Toner yield: 7,000 @ 5% coverage. Service contract: Includes all service, parts, and toner. Excludes paper. Optional features: Print/Scan ($20.00), & Fax ($10.00). Toner yield: 11,000 @ 5% coverage. Toner yield: 40,000 @ 5% coverage. Toner yield: 23,000 @ 5% coverage. Optional features: Print/Scan($20.00), & Fax ($10.00). Toner yield: 43,000 @ 5% coverage. 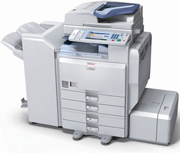 For larger capacity copiers please contact us for more information. ©2008 ABM Copy Solutions Inc.